My favourite band is the Pet Shop Boys. During high school in the 90s, when everyone else was into grunge or hip-hop, this was akin to social self-immolation. I also loved, and still love, ABBA.Whatever. Dance like nobody’s watching, as the Internet dating profiles say! My sister calls me Fur, as in Christo-pher. 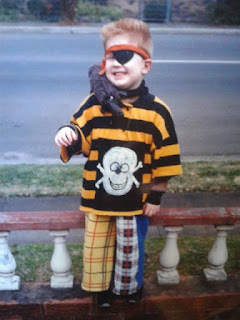 At school I weathered a storm of redhead-related nicknames. Some were affectionate… some less so. As a child, I was terrified of extraterrestrials. As an adult, I fear we haven’t learned the lessons of the Twentieth Century: that the open society faces enemies from within and without. Epic, romantic, political, metaphysical, intimate, violent, sad, funny, ultimately hopeful. Persistent, patient, open to suggestion. Kim from Rudyard Kipling’s Kim. Action, intrigue, India, and all the romance of adventure in our terrifying, luminous and surprising world. Into the future, to see North Korean arts and literature flourish after the disintegration of the Kim Dynasty’s life-strangling Cult of Personality. Hopefully not as far ahead as I sometimes fear. The sheer love of words and story telling. Barcelona. Sounds great on anybody’s lips, and reminds me of my early twenties, when I was straight out of uni, and the world was opening before me for the first time. Christopher Richardson is an Australian author based in Sydney. 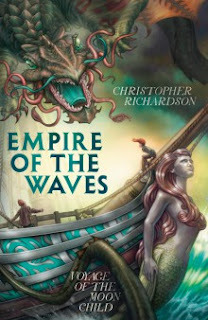 His debut novel, Voyage of the Moon Child, is published by Penguin Books and is the first book in the Empire of the Waves series. Visit Christopher's website and Facebook page for more information about his books and author events.